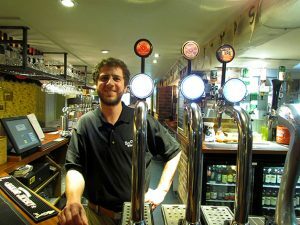 About Us - Bootleg Brewery Co.
Bootleg Brewing Co. started brewing in 2010, housed in the Horse & Jockey pub and is currently the only brewery in Chorlton. The micro-brewery was converted from the shell of the tower where the old disused brewery once stood and still remains there to this day. From our first brew in 2010, one of our craft creations Contraband was awarded Silver at the Bury Beer Festival where it won the Beer of The Festival category in November 2010. As strong supporters of real ale and knowing from our own experience how important it is to keep the craft alive, we sponsor several festivals throughout the year. These include Stockport Beer Festival and our very own Chorlton Beer Festival. 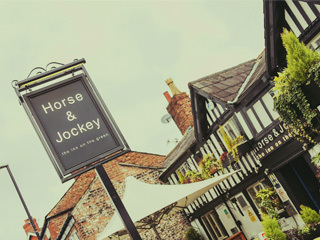 The Horse & Jockey pub has been a staple in Chorlton since the 1800’s so having a home inside such a historic pub, very much compliments our delectable range of new craft beers. Bootleg Brewing Co. 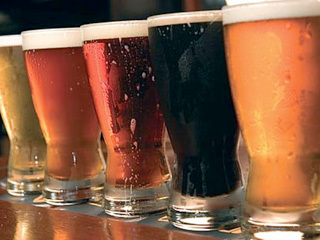 Beers offers a refreshing range of golden, amber and dark ales that are distinct and deeply satisfying. We are delighted to welcome our new Head Brewer, Stefano Occhi who has joined the Bootleg Brewing Co. family. Since our humble beginnings, we have now expanded our cask range with new craft beers that include: Urban Fox, Speak Easy, Fool’s Gold, Twisted Groove, Black Market, Spun Gold, Back Street, our Seasonal festive beer Christmas No.1 and the new premium indie lager Spin Doctor to complement our existing product range.